The Boykin Spaniel is quite a modern breed of dogs. It is loved and respected for its ability to be a great hunting dog, especially for water fowl. This is a medium sized breed of dogs bred to hunt for wild turkeys in South Carolina, United States. It is a versatile hunter and is considered a good retriever, it is also good at flushing birds to take flight. This breed is not considered to be a good pointer though. The Boykin Spaniel is the State Dog of South Carolina. The Boykin Spaniel is a spaniel retriever and thus shares a lot of health related issues and dog diseases that affect these breeds. They are especially prone to hip dysplasia, with a 37% chance of being born with this dog disease. The breed also is known to have a high rate of eye related health problems and eye diseases and patella luxation. The Boykin Spaniel is also known to have some skin and coat problems that have been linked to thyroid disease and endocrine disorders. 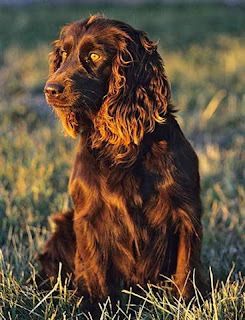 The boykin Spaniel also is known to have isolated incidents of heart diseases and elbow problems.